Alexander K. McClure. "Abe" Lincoln's yarns and stories, 1901. Public domain, from the Internet Archive. Thirty-Eighth Congress of the United States. 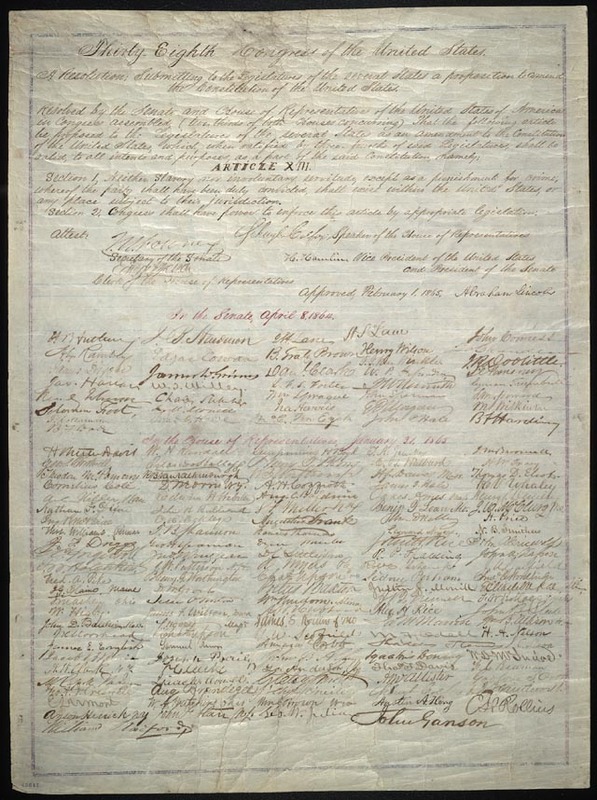 A Resolution Submitting to the Legislatures of the several States a proposition to amend the Constitution of the United States. Section 1. Neither slavery nor involuntary servitude, except as a punishment for crime whereof the party shall have been duly convicted, shall exist within the United States, or any place subject to their jurisdiction. Vice President of the United States, and President of the Senate.